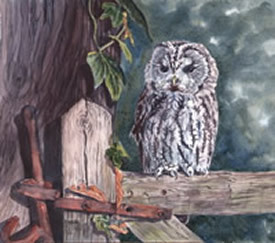 The Hunts Art Group is a group of amateur artists from the general area around Huntingdon in Cambridgeshire. The Group holds meetings approximately monthly; these include evening get togethers, competitions and day-long workshops. Non-members are welcome at most of our meetings and workshops if there is space available (members have priority booking). Our monthly evening meetings are held in the community room at Tesco, Huntingdon. Workshops and other meetings are held in various locations in or near Huntingdon. For details of the current programme click here. For details of how to become a member, click here. 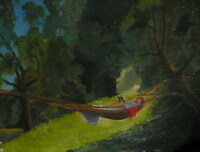 Additionally we hold an annual exhibition showing members' artworks. 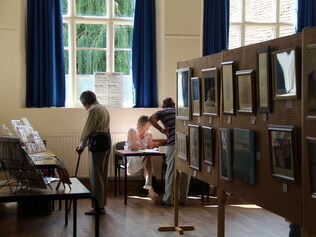 The annual exhibition has for the last two years been held in the Free Church St Ives. 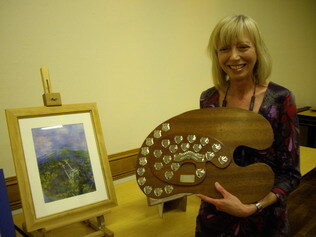 The present Hunts Art Group was once part of the Huntingdonshire Music and Arts Society, formed in post war years by an enthusiatic band of people devoted to promotion of arts in the county. There was also a music group and a film group. The Society had for its first president Lady Hinchingbrooke, and meetings, lectures and concerts were often held in the panelled Inner Hall of what is now Hinchingbrooke School. Since those days the Art Group has become an independent group but has retained its title and continues to maintain its original objectives; to promote the enjoyment and appreciation of visual art and to provide opportunities for instruction and for the exhibition of works of art.